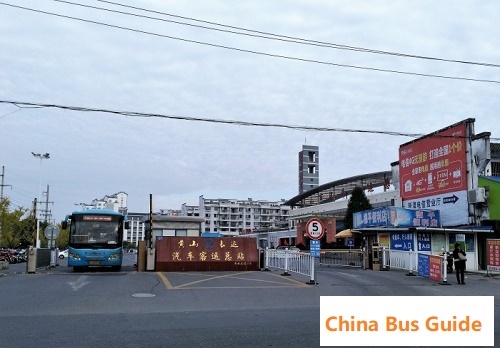 The national class Huangshan Bus Station or Huangshan General Bus Station covers an area of 84 Mu. It operates 110 bus routes for destinations in Anhui Province, Zhejiang Province, Jiangxi Province, Jiangsu Province and Shanghai with annual ridership of about 450,000. Note please, Huangshan Bus Station locates in Huangshan downtown, it is about 55 kilometer to Huangshan Mountain. Direct buses are available between Huangshan Bus Station and Huangshan Scenic Spot Bus Station in Tangkou with riding time of about 1 hour. It also has direct bus for famous tourist destinations including Xidi and Hongcun, Wuyuan. Have you ever traveled to Huangshan (General) Bus Station? We encourage you to share your travel experience and review their service by leaving your comment here to help other visitors travel smartly. You can also leave a question here to get fast response.